Lesotho southern Africa me ek chhota des hae. Iske abaadi lagbhag 1,800,000 hae. Iske ke naam Maseru hae. 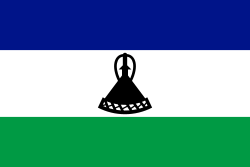 Lesotho ke chaaro bagal South Africa hae. Ii panna ke 8 March 2013, ke 13:57 baje, pichhla time badla gais rahaa.